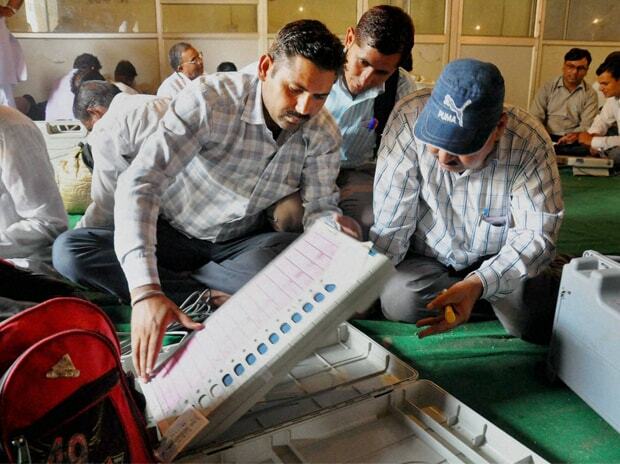 A plea in the Supreme Court on Tuesday sought direction to the Election Commission to ensure safety and security of electronic voting machines (EVMs) after Lok Sabha polls. The plea, filed by M Srinivasan, President of Tamil Nadu Annal Ambedkar Law Association, has referred to news reports on apprehensions of some opposition parties that EVMs may be tampered with even after the polls. The petition, which may come up for hearing next week, said that the Chief Election Commissioner be directed to ensure that EVMs are not tampered with during the post polls period. The plea said that as alleged it was possible to tamper with the EVMs in broad daylight during post poll situations since it was a dark period in which the machines have very little access to outer world except to an limited administrative functionaries. "What aggravates this petitioner's apprehension was the availability of long gap between the polling date and counting date. The number of days gap between first phase polling and counting dates is around 40 days and the days gap between second phase polling date to counting date is around 35 days. "The long gap between polling and counting date if goes unchecked, given the weak knee and partial conduct of Election Commission of India is posing a great threat to the possibility of tampering the EVM'S after polling," it said. The plea also referred to news reports related to a letter written by 66 former bureaucrats and ambassadors to the President of India questioning the impartial functioning of the poll panel and had expressed their deepest anguish on the all time low weak knee conduct of the EC.